Mold in your home can be unhealthy and unsightly, and although it’s possible to take care of your own mold removal, you need to know when to call in an expert. And if you just aren’t sure, it’s best to call the professionals. Most homeowners insurance policies don’t cover damage caused by mold. As a general rule, if you can see only a small patch of mold, it’s easy enough to get rid of it yourself, by scrubbing thoroughly with soap and water. You may have to repeat the process to make sure you have effectively got rid of the mold. Some surfaces are easier to clean yourself, such as metal, tile, and glass and if you have mold on these surfaces, you may not need to call someone. And it’s also recommended to take steps to prevent the mold from reoccurring, such as running the fan after a bath or shower and making sure rooms prone to moisture are kept as dry as possible. However, mold removal is best left to a professional if you have extensive areas of mold, or it is literally making you feel sick. Mold spores growing on your sub-flooring or drywall generally means a serious mold problem. Water stains on the floor or ceiling should be a red flag too; this typically means that you have a more serious mold issue than is immediately apparent. Standing water, rusting pipes, a leak in the roof and dripping pipes can all be a sign of a serious mold infection too, as can a bulge or bubble in the wall. And of course, mold can cause serious health problems, especially to anyone with allergies, and it’s probably worth calling a professional if that applies to anyone in the home. Sneezing, shortness of breath, runny nose, and sinus infection are all common symptoms of illness caused by mold. If you smell mold but can’t actually see it, it may be hidden in your attic, crawlspace or sub-floors and will need expert removal. Mold inside your walls means removing the drywall and replacing it; again, a job for a professional with the right equipment and expertise. Mold present in your air conditioning or heating system also means you will have to call someone who is able to safely remove and replace that equipment. 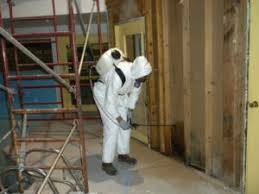 No homeowner likes to spend money on calling someone to handle their mold removal. If you suspect the presence of mold, try to determine how serious it is and what is causing the problem; if in doubt, it’s always best to call a professional mold removal company.